Find one that's best for you. Big enough to feel like something; small enough to make it your own - it doesn't take long to weave into the fabric that makes up the Burlington, Vermont area. Vermont's Green Mountains provide a great environment to work, live, and explore. At Burton, we've focused on becoming the preferred employer for a diverse crew of like-minded and talented individuals. Finding incredible opportunities is simply part of the atmosphere around our headquarters, and our employees take full advantage in the endless pursuit of adventure and innovation. We start everything at Burton from the ground up, and at our foundation is a set of core values that guides every decision we make. These values ensure that we're staying true to ourselves, supporting the lifestyle we love, and doing our part to protect the planet and its people. 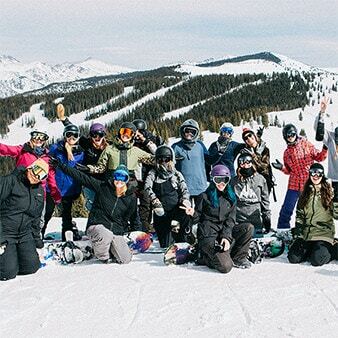 At Burton, we live our passion for snowboarding and full season active lifestyles. Our job is inspiring people to enjoy the outdoors, so we make sure to support our employees with the standard benefits package of healthcare, 401k and paid time off. However, the perks go way deeper than that. From a casual, flexible work environment to employee parties and events, we're all about making it easy to stay active and connected to our culture. From a free seasons pass and discounted lift tickets, to free lessons and a closet full of demo gear, we make it easy for first-timers or seasoned riders alike to enjoy the sport that inspires us. We love being outside, whatever the season. That's why we offer flexible hours for riding before work in the winter, and flex Fridays for maximizing the weekends in the summer. 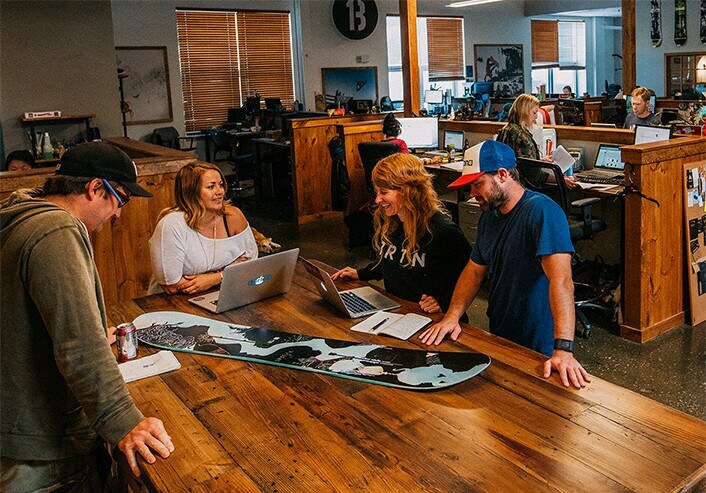 A casual work environment means you can run jeans, sneakers, flip flops, or mud boots if that's your thing, and leave the ironing for tuning up your snowboard. Our employees help make the best snowboarding and outdoor products out there, and we offer a hefty discount so they can enjoy it firsthand. Bring your buddy to work every day with a dog-friendly work environment. Woof! A key part of our dedication to fun and active lives is ensuring our own employees can live to their fullest potential. Working here means we've got you covered for medical, dental, vision, disability and life insurance with best in class coverage at very affordable premiums. Add to that our 401K savings plan with company match of up to 3% of your annual pay, fitness reimbursement programs, and tuition reimbursed for approved college courses, and we're confident our 'traditional' benefits are some of the best around. We're a family-run company, and we get it that family is the biggest commitment of all. We make it easier to be a working parent with dependent care match, paid time off, and paid maternity/paternity leave. Our sport, culture and business revolve around an active, outdoors lifestyle. We support employee health and wellness with a diversity of programs, from rewarding carpooling and alternative transportation, to fitness reimbursement programs, community involvement through The Chill Foundation, and a fleet of loaner bikes in the lobby. At Burton we've been focused on becoming the preferred employer for a diverse crew of like-minded and talented individuals. We're proud of our continued commitment to excellence in career development, employee benefits, and the positive effects of gender balance in the workplace.